Seamus Boyle of the Orra Mountain near Loughgiel in County Antrim is a kind of living legend. Poems and songs have been written about him and have been recorded on CD. His latest claim to fame is that he has been recently featured in an article by the internationally distributed Forestry Journal. They had heard of the work of Seamus and this prompted one of their leading contributors, Anne Berry, to travel from Scotland specially to do a feature around Seamus. 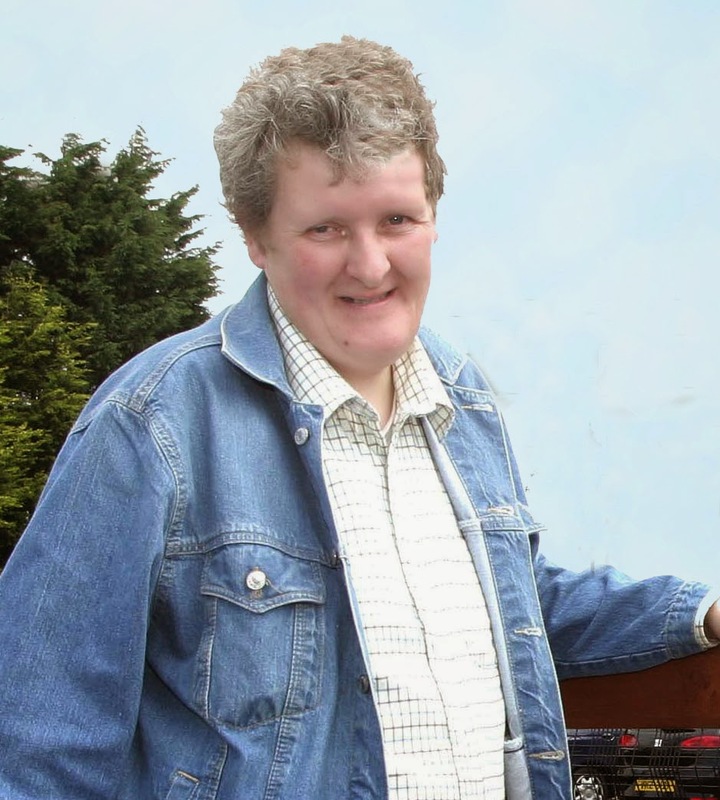 It is difficult to explain the role that Seamus plays in the Glens of Antrim but he is widely recognised as the guardian of forest and mountain. Seamus is hard to define as he works on another level: a classic example of someone who not only thinks outside the box but operates outside the box. He simply is in tune with all that goes on around Slieveanorra and goes to considerable lengths to ensure his beloved region of forest, hill and glen is preserved for posterity. 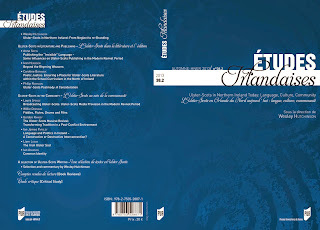 A new journal on Ulster Scots has been published in France and will be distributed across the world this spring. This exceptional collection of writings on Ulster Scots will be most significant for its wide range of views: from grassroot activists to highly acclaimed academics. The internationally respected journal is anticipated to provide tremendous insight into an identity has been much misrepresented and misunderstood. Ulster-Scots in the community: Laura Spence, Willie Drennan, Gordon Ramsey, Ian Parsley, Liam Logan and Ian Adamson. 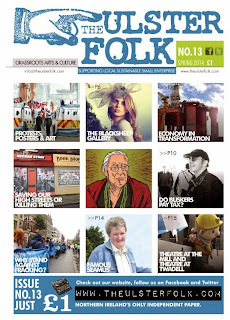 A selection of Ulster-Scots writing: Selection and commentary by Wesley Hutchinson. Etudes Irlandaises may be purchased on line. Check www.theulsterfolk.com for updates on places to purchase in Northern Ireland. 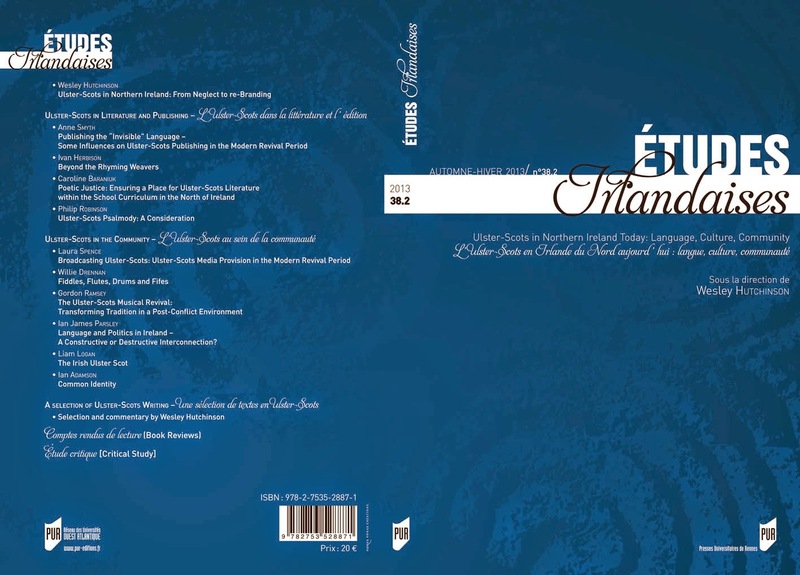 This issue of Etudes Irlandaises is set to be launched in Northern Ireland in late May. 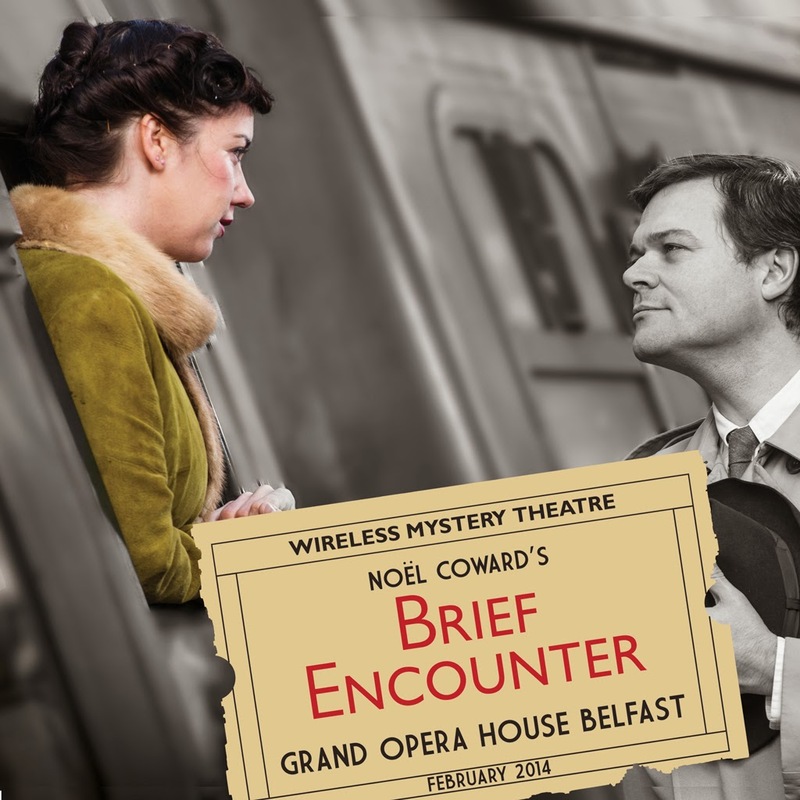 During Valentine’s week an adapted stage performance of Noel Coward’s romantic classic, Brief Encounter, was just the thing: the intimate setting of a packed Baby Grand Studio at Belfast’s Opera House, the very spot. By all accounts, our town centres are in big trouble. 'Clone towns' is a term currently used to criticize the bland uniformity of high streets throughout the British Isles. Towns weathering the economic storm often stand out by having 'character' - streets of historical or architectural interest, a good number of independent shops, and a lively sociable atmosphere - a buzz. The latter is provided by the townsfolk themselves, many of whom also appreciate having well known 'characters' about the town. Lisburn people fondly remember local figures such as Jack McMaster, who delivered the milk on his horse and cart (and about whom I have written a song), or 'wee Davy Jones' - not one of The Monkees, but our own 'Tom Thumb' who drove around town in a modified sidecar. Buskers too, can become 'characters', thus also lending character to a town. In 'A Sense of Wonder', Van Morrison recalls "the man who played the saw outside the City Hall." I remember seeing such a character there in the 1980s (it was probably the same chap). “We must do something”. “Something has to be done”. People have become dangerously unaware of how politics works. There is a dangerous disconnect between the electorate and the political establishment in Northern Ireland. Perhaps this is due to direct rule from Westminster where decisions were made far away from Northern Ireland and further compounded by consecutive Stormont administrations that do painfully little by way of legislating. The people of Northern Ireland generally are unaware of the political choices open to them and instead follow the herd towards voting for the donkey with the correct colour of ribbon. Voting remains an act of tribal defiance against the other community with the electorate voting for candidates that wouldn’t reach the ballot paper in Great Britain or the Republic of Ireland. The media are complicit in this political malnourishment. They focus their stories on sensationalist headlines writing thousands of words on why we need change and how things will be better with that change. They miss one vital aspect. We don’t care about politics. Beside the breaking news story of tragedy around the world the media will have a glossy story about the tragedy of Britney Spears dress malfunction or something similar. The media have herded people into a bubblegum world of faux celebrity whereby they care more about the sexually explicit dancing of Miley Cyrus or the media circus surrounding Justin Beiber than war, health and education. The electorate do not appreciate the link between services and taxation having long been seduced by the hollow promises of politicians promising more but never revealing where that more is coming from. The media have failed to explain that bigger, better and more expensive services cost more and taxes will have to be raised to fund them. The media also enable the myth that politicians have any power at all. The political establishment is a snowball rolling down a mountain. The bureaucrats behind the scenes play the tune that the Minister must dance to. Ministers sometimes get to change the direction of the snowball slightly but it is still rolling down the mountain. The electorate mostly doesn’t care about issues until they directly impact upon their lives. We are all guilty of this and until these issues impact upon us we carry on with our lives just trying to live as best we can. We behave like free range slaves with the illusion of freedom when our lives are anything but free. The flag protests caused universal horror amongst the media and political elite with fear that some of the slaves had broken their chains. The mob could no longer be controlled with hollow promises and when that violence turned to activism the fear grew. If these protestors dared to think for themselves and challenge the establishment then who would be next to challenge authority? Every effort was made to demonise the protestors and the leaders of the flag protests as this group represented that which the elite could no longer control or explain. This is a danger to their continued hegemony that could not be allowed lest the elite lost their privileged positions.